I write many blogs. I do this, on the one hand, to share the benefits of my Bitsing method and on the other hand to inspire people who are on the way to achieving their goals. The blogs are widely read. And one of them drew an unusual response: “Bitsing remains impressive in its simplicity and accuracy”. It came from Sven Kramer, Senior Strategy, Planning & Performance Management Lead at one of the world’s biggest companies, Shell. The positions Sven has occupied during his long career at Shell could fill their own chapter in this book. Rarely have I seen such an impressive career. So I am not surprised that Sven is responsible, at general management level, for ‘global business performance management in support of capital investment decisions worth billions’. And I expect this makes him a source of inspiration when it comes to the business of making difficult decisions. So I am pleased and surprised when the subject of this impressive resume responds to my request for an interview with an immediate ‘yes’. More so when he continues, “I have great confidence in your method. In fact, a smart colleague recently applied the theory to show that a large-scale, international initiative was not all that profitable”. I was, of course, flattered – and keen to know more. Join me, as I learn a few things from a conversation with Sven Kramer. We’re in the room in which Sven once attended one of my Bitsing Master Classes. “I still remember attending that inspirational master class here”, said Sven. “Your method has had some great successes. You will continue to grow, of course, if you just continue to apply your own model”, he smiles. “At the outset you think of the big financial potential; the resource is everywhere. But this quickly narrows to: ‘But where, precisely?’ So yes, we search, worldwide, at the locations where we think we’ll find it. And we went for it. We invested. We searched. But it gradually became apparent that it wasn’t going all that well. A kind of awareness dawned: We think we’ll find it somewhere … but how factually correct is that thought, in itself? “The issue is that we work in many different countries, all over the world. And the size of the investments involved and, indeed, of the world as exploration area, are a cause of concern. The investing starts with the first geological analysis, which of course costs money. Then there are the next steps, each of which cost even more money. I’ll keep it simple for the reader, but think of drilling a well, or a number of them; the amount of money you invest without knowing what it’s going to yield, grows with each step. And if there are, ultimately, cautious, positive signals, you’re not there yet. You must then build a whole lot of facilities and pipelines, and invest an even larger amount. Sven remains quiet for a moment. “Do you know that only a minority of the pilot projects are ultimately successful? Yet the investments in the majority of the unsuccessful attempts, or where we should have stopped projects earlier, must also be recovered? This corresponds to those experienced in product innovation in general. Only about one innovation in ten is successful – and that one success must cover the investment in the other nine innovation attempts. “That means”, continues Sven, “That this, single, successful project, that will undergo full development, must pay for all the projects, worldwide, that are not successful. And that is a lot of expense. If you do the sums you quickly conclude that you need to raise your strike rate. Partly on the basis of your pencils model and the philosophy behind it. We started costing out all aspects of the new energy source; using numbers which, as your model says, must be based on hard financial facts. This showed that our focus model actually wasn’t so great,” said Sven, his tone reflecting the negative impact of this discovery. “The focus on this new energy source was out of proportion – far too big in relation to its expected turnover, to its capacity to produce a positive yield. That yield appeared more marginal than what we can make on traditional oil and gas – in other words from our ‘sharp pencils’, to use your terminology”, said Sven. “So the new energy source was a ‘blunt pencil’, but one that got an amount of attention comparable to that given to our sharpest pencils, namely oil and gas. And we had to use its much smaller margin to cover a very large investment, with a much lower chance of success. So, yes, as often happens with the Bitsing model, we had to conclude that our initial approach didn’t look too good from a commercial point of view. The degree of focus, of course, had to change. We first looked at making a more intensive version equivalent to your model; at how we could refine the model and adapt it to our complex processes. By applying a more factual focus, based on financial facts, we aimed to increase the success rate of our selections. We started identifying criteria, which raise the chance of financial success. We called them the Big Rules. If a project didn’t sufficiently match the criteria, we immediately stopped it. We stopped earlier than before, in this way keeping the costs as low as possible. We applied this. And it then appeared that the new energy source had more chance of succeeding if you prospect in areas in which you already produce, areas that represent sharp pencils – where we have a firm handle on the models. In contrast, if you explore in a totally new area, you have to set up everything without knowing whether the project is going to be profitable. To keep within the pencil metaphor, you have to sharpen that pencil from the start, but without knowing if you’ll ever manage to get a sharp point on it. The selected areas, on the other hand, the pencil is already sharp [there is no perfection in underground oil & gas]. And so, working together, we arrived at the Big Rules: What do we have to take into account to increase our chances of success? In so doing, we had actually created a predictive model for future projects, with all the positive implications of such a tool, such as significant savings in terms of efficiency and an increase in effectiveness and success rate”, says Sven. He follows this fascinating account with how they are now applying the approach in practice. “We are therefore making increasingly critical evaluations of whether a project matches the Big Rules. If the answer is ‘yes’, we have a big chance of continuing the process. If not, then we must be disciplined enough to stop applying it, before it goes wrong. I do operate at mega high level. One shows a number of slides and makes a proposal and then the people in the country take that and get to work. And once I see that happening I step out of it. But in the case of the strategy for the new energy source I hung around, because I found what happened there very special”, says Sven. “It’s so great when you see a result. They were using the sharpened approach, which was something in itself, and there was a positive result for our business, for our employees and for the surrounding area. What I could recommend to everyone is focus on your current source of business. Look at the facts: Do not just go out and start the adventure anywhere and then go for it, full on. Things could go very wrong. The chance of things going wrong is much larger if you’re in areas that are new to you, than in those where you already know all the ins and outs. “You’ve been with Shell for a long time?” I ask. “Yes”, says Sven – in the manner of one contemplating this for the first time. “In fact, for my whole working life. 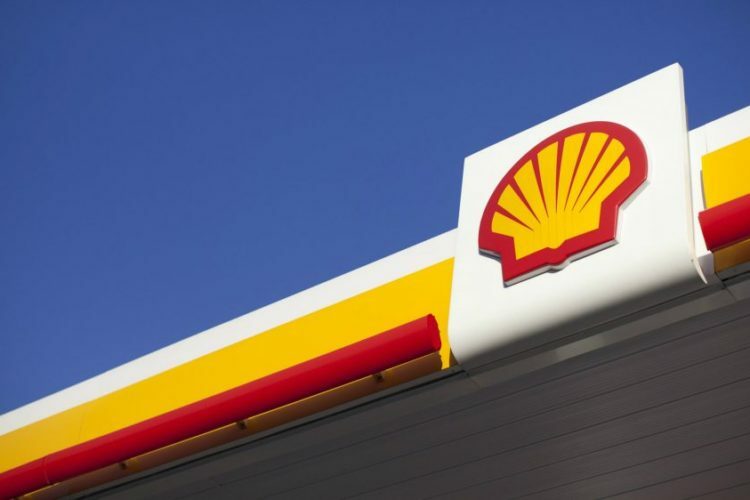 The funny thing is that when I had interviews at Shell there were people who’d worked for the company for ten, twelve, fifteen years – and I was amazed that they could have been with the same company for so long. I didn’t understand it. Now I can identify with them completely – the international opportunities, job rotation, leadership development and travel are all things I’ve now also experienced and, indeed, have enjoyed very much. So I would now give the same answers if young people asked me why I’ve worked for this company for so long. I have had many different jobs. I have worked in different countries. I work for one of the largest and oldest companies in the world. In fact a company like this is a world in itself. It has everything. Yes, it has everything and, as a result, evolves and continues to re-invent itself as time passes. Which fascinates me no end. Somewhere in our company smart men and women are busy right now, just like you, discovering their own Bitsing method and, in the process, applying it. Using it to develop smart things and trigger better and different ways of doing things. They also help drive the entire company, by continuously improving themselves. It’s what we at Shell do, we’re always improving ourselves. Sven: “What we’re after isn’t something that’s available off the shelf. Gigantic sums of money are involved and a lot of uncertainty. And one has a lot of responsibility then, to the world. Because no one knows exactly what is under the ground. There are huge uncertainties, with many different aspects, in which a lot of money is involved. And a lot of responsibility – for instance to your employees and to the environment, to take just two aspects. I would like to pass on the following advice: Keep making forecasts – and use that information to populate a financial model and a planning model. Try to keep this as fact-based as possible. For us at Shell, this is not an easy process. We don’t know what is under the ground, or in a reservoir. And, to re-visit my example of the new energy source: whereas we originally invested in areas just because we thought we could be successful there (with investments that quickly rise to tens of billions), our forecasts are now significantly more fact-based, also using a Bitsing-like method. Next Next post: Bitsing goes down under!